The Anheuser-Busch unit of AB InBev has little resonance with craft beer fans except when it occasionally buys out small breweries – not the most positive of associations. From a business standpoint the concern is obviously still very large and commands a huge part of the North American market. As for its products, in truth the range is probably more diverse than at any time since 1900 or maybe its entire history. No one can dispute though what a powerhouse A-B was in its earlier, American-owned heyday when it was universally admired. Even 1970s beer books, written at the dawn of the craft revival, are respectful and sometimes admiring of its beers even as they were then. A-B as an independent enterprise had two great periods of growth. One was from the inception of the partnership of Adolphus Busch with his father-in-law Eberhard Anheuser, the second was the post-1933 era which commenced with the end of National Prohibition. The earlier segment is the more absorbing IMO as it is the time when Budweiser was developed and the company quickly grew both nationally and beyond. The brand was initially the property of Charles Conrad’s C. Conrad & Co., which had been in business in St. Louis as a liquor and wine dealer since 1863. Conrad tried a lager in Bohemia which impressed him, and his friend Busch made and bottled the formula for him. As I mentioned earlier, the first bottle labels, indeed to about 1914, mention barley malt and hops only. I think it quite possible the first formulation did not use rice although this material was being employed later in the 1800s and is mentioned in numerous ads for Budweiser early in the 1900s. It is possible rice was always used and Conrad didn’t mention it on his label, alternatively rice may have been added later, perhaps after 1883 (some accounts state 1882), the year Anheuser-Busch became owner of the brand following Conrad’s bankruptcy. Under Busch’s sure guidance the brand grew from strength to strength and was internationally famous by the time of Teddy Roosevelt’s presidency. Some of the early export markets included Mexico, Central America, and the West Indies. The plant in St. Louis was the second largest in the world, only Guinness’s brewery was larger. It would be of great interest to know the specs for Budweiser in, say, 1876 and 1914. As far as I know, this information has not been publicly available. The abv was between 4 and 5% but the final gravity and hopping rate would be useful to know. I would guess, judging by known information on pre-WW I American brewing, the beer was much hoppier than today and richer in taste*. Michelob was introduced in 1896 as an all-malt draft only (non-pasteurized) beer and its specs too would be of great interest. I suspect these beers resembled modern craft lagers styled on Czech lines and originals such as Pilsner Urquell more than the current versions, but who knows, indeed Adolphus apparently did not think much of the beer, as mentioned in this informative Wikipedia bio. Perhaps the addition of adjunct placed it in a different category for him, or the pasteurization, it is hard to say. Michelob’s appearance in 1896 may be a clue to what he regarded as the ultimate beer from a palate (vs. market) viewpoint. 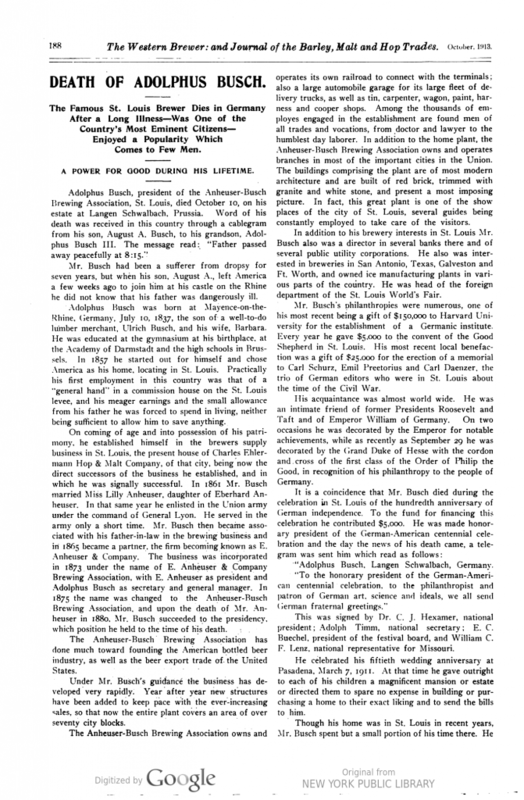 This obituary of Adolphus from The Western Brewer in 1913 (via HathiTrust) gives a tangible sense of what Adolphus Busch achieved, particularly after Eberhard Anheuser died in 1880. It suggests something of the person he was including the considerable philanthropy he practiced. Certainly the expansion of the business was nothing less than highly impressive. Also impressive was the continued stewardship by the family into the period (fairly recent) the brewery was finally sold to outsiders. Notable in Adolphus’ background was his considerable education for the time. The gymnasium and collegiate training he got in Germany and Belgium must have comprised numerous components (science, business, arts) which assisted his mega-success. *See my next two consecutive posts where Budweiser’s abv and FG in 1884, and ditto for an all-malt beer from A-B in 1908, are now documented. The Very Best From Lynchburg, Tenn.
After some in-depth – very – experience with fine Canadian whisky recently, I thought I would revisit American whiskey. I wrote about many historical aspects of it earlier this year, but hardly about its taste. A current iteration is Single Barrel Select of Jack Daniel’s, a primo version first issued in 1997. 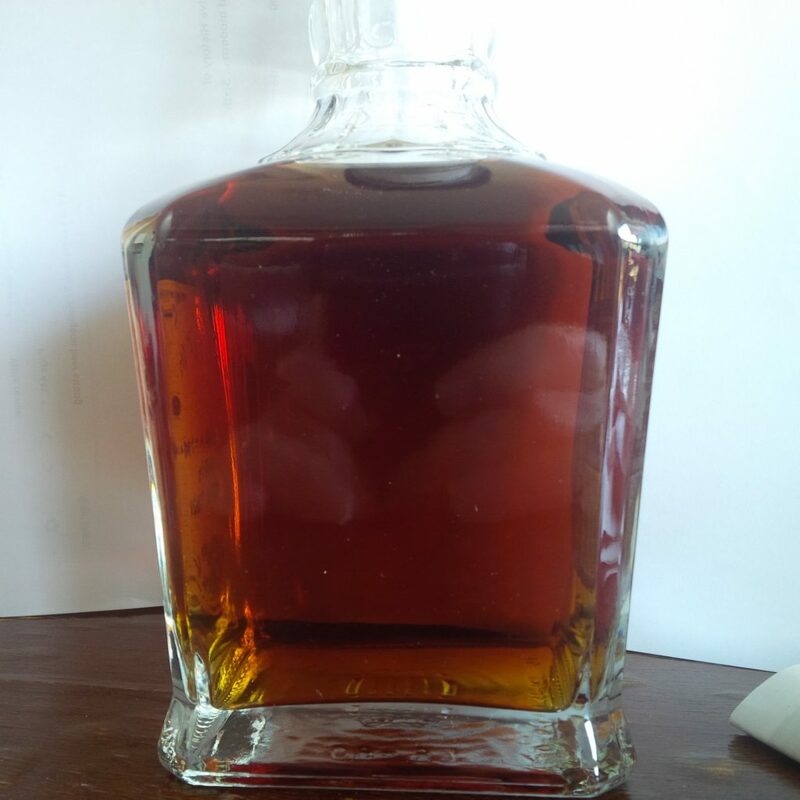 At 47% abv, it is close to the pre-Prohibition 100 proof Jack Daniels (although Jack Daniel’s was always available in different ages and proofs). That 100 proof version can still be bought overseas, or in duty free for international passengers. While excellent, I think I prefer the Single Barrel Select which seems heavier in body – with alcohol being lighter than water, the higher in proof you go, the less full the body can be, no less true for being counter-intuitive. This website gives further details on the brand, its sales, and the truly select nature of the bottlings as under one per cent of inventory is deemed fit for the purpose. The other thing about Single Barrel Select, something intended by Brown-Forman, an old name in U.S. distilling, is the variation between each barrel. Given the slightly different position of each in the warehouse – even if all are from the upper reaches of the structure – the whiskey in each barrel differs. Probably the main factor is the wood staves of each barrel can never be identical in composition and so aging proceeds somewhat differently for each barrel. The company claims through chromatographic and other analyses to know and be able to replicate the chemical “footprint” of its whiskey. I have no doubt of that, but even still the palate of some single barrels strays quite a bit from the “norm”. I would define the norm as Old No. 7 or Jack Daniel’s Black Label. This tends to be a warm spicy drink infused with a scent and taste of yellow fruits, often but not always banana. I like that taste although it did take me years to accustom. But I most prefer the Single Barrels that depart from it. Many don’t, but the one pictured, barrel 16-3258 bottled on May 12 of this year is one of the outliers. The colour is deep amber, maybe a shade darker than most Single Barrels, with russet glints in certain lights. The odour is mild, mainly medicinal. The taste is full-bodied – often Jack can be on the light side in body- and slightly creosote/sweet/smoky with wintergreen notes. It’s very good, more in this case like some bourbon. No yellow fruit notes here at all. That is the taste I really like in Jack, just a little is enough, an ounce. I like it neat but a cube would do it no harm. One of the mysterious things about the brand is, if you buy a second bottle with the same barrel number, it may well taste slightly different or have a different texture to the first. This could be down to which part of the barrel you got (even after filtration), or perhaps the water used to dilute the next bottle varied a shade in composition from what came before. Perhaps even the cork in each bottle has a subtle effect on taste or texture as each cork again will have slight differences of origin or other properties. It’s all good. I got a call recently, it was difficult to hear the voice at first, lots of static. “Yes, they call me that sometimes”. “My name is Max, I was given your name by someone we know in Celeste”. “It’s far from Canada, but right now I hope you can help us. We haven’t had any connections with Toronto for a long time and have some business to attend to there”. “Okay, I do corporate law, some other areas, I’m sure I can help. “No, it’s not a matter of law, it’s about beer”. “I know about that too”. “Yes, we heard. With my associate, Robert, we are planning a journey to Toronto, of an investigative nature. We are technical men who advise the brewing occupations, and wish to meet someone in Toronto with pertinent knowledge of local conditions and customs in the field”. “Oh I can chat with you, sure”. I’m thinking, this guy must be very aged, he talks a little funny, but people do live and work longer these days… Could be a good contact, why not? “We will arrive by Pullman and take another train, partly subterranean, to the Eglinton station. Can you join us for supper in that ward? By all means suggest a fine establishment, and be assured you are our guest”. “Okay, how about Wings & Slosh, and don’t let the name scare you, they have a great selection of beers”. “What an odd name for a licensed establishment. It’s not a low-down dive is it? We can’t abide standing at the bar in any city, that’s not how to drink beer you know. And we don’t like whisky”. “Oh it’s a cool place, we’ll sit down and I can walk you through the beer scene here”. “‘Cool place’ … ‘walk through’… the Canadians do speak differently don’t they. Very good, thank you Mr. Beeretseq, we will see you next Wednesday at Wings & Slosh at the stroke of 7. It will be excellent to visit the Queen City again”. Max stood to greet me: “I’m Max. Oh the journey was very good, the subway is very much like in our first home, Chicago. Similar signal system to the ‘L’ line. We were impressed by the telephonic device which declares each station on public address in the cars, quite an advance. And the use of lady conductors is novel and salutary. I must post my friends in transportation immediately on return”. Max again: “Meet my associate, Robert”. “Hello Robert. Good to meet you gents. Hope you like the city”. Robert: “Oh, we do. We are staying at the hotel across from the station, the Royal York. It is much as we remember from a brewers congress there a long time ago. The railroad station is quite the same as well. But those incandescent notebooks with wires everyone carries! I’ve never seen such a thing and need to learn all about this. My doctorate was in electricity, I knew Edison you see”. Robert: “Mr. Beeretseq, there is imperative business, can you summon for us a representative selection of your beers available in this quarter? Include any ale or porter which may still be offered”. “Yes, no problem. Hey Miss, can you get us three halves each of Canadian, Boneshaker, and Sidelaunch Lager? Bring them together”. Server: “Coming right up”. Whispers to me: “Your friends are a little strange, I gotta say, but we get a mixed crowd in here”. The beers duly arrive. I start to explain: “Okay this is Molson Canadian, a lager from Molson-Coors. Very popular here, what do you think?” Each takes a sip. “Um, yeah … so tell me what you think”. Max: “Very much like our best lager at home, less satiating and the hop blend is singular, but very good, with excellent yeast savour. The house is clearly committed to pure yeast culture, I am much taken with this production”. Robert: “I concur with Max, let’s broach the next one. A beer without one to follow is not an outing we always say”. “Yeah, me too. Okay this is Boneshaker, an India Pale Ale, about 7% abv”. Max: “Now this is very good, it’s got the zestful aroma and taste of the best Oregons and Pacific Clusters and there is no stinting on them either. It’s present-use of course. We like beer that way, it hasn’t the chance to absorb foreign organisms in the cellar. And 7% is a traditional stimulant level for bitter beer. It comes less bright than we are accustomed to, but we get it. Totally”. Max: “Yes well you see, before your arrival I had a palaver with the server girl here, Freja. We are both from the same town in the old country. She was explaining some of your local expressions”. Robert: “In passing I must tell you we much admire the quality of building in your city, and so tall! Louis Sullivan must have associates here of the very first class, and the materials being employed are revolutionary in my estimation”. “Another beer gents? Try this lager, made in Collingwood up north”. Max: “Another beer of topmost grade. I never had better even in Bavaria where the pilsener type is all the go”. “Ya think? But I thought you said you didn’t like whisky”. Max: “As a firm rule we eschew whisky but when on business distant from Celeste we sometimes indulge for professional reasons. We want to consider if the stability is affected by the long shipment, there is first the water-voyage, then different atmospheres, temperatures, pressures. “Here’s two shooters, tell me what you think”. Each downs them bob’s your uncle. Robert: “Excellent! Exactly like in bottle at home, clean and rich with no empyreuma or other improper properties. Their QC rocks, dude!” (Max nods enthusiastically). Max: “Mr. Beeretseq, our visit with you has been much too brief, but most instructive. Thank you. We must now depart, we have other business early tomorrow, a scientific station to visit in Galt. An Uber is out front to carry us to the Royal York Hotel. We have taken care of the saloon’s bill, don’t sweat it”. “Wait a minute, I want to talk more to you!”. But they straighten out their odd black clothes and march with walking sticks toward the exit. A noisy bus goes by raising a huge cloud of dust and I see them half-obscured in the haze with arms raised to get their cab. Then they’re gone. I ask Freja, the server: “Is it true you are from Europe?”. Freja: “Yes I am, I lost the accent a while ago. Your friends are hilarious, at first Max spoke like my oldest grandparent when I was a kid, but then they kind of fit in. Bring them back any time, dude”. (Laughing). 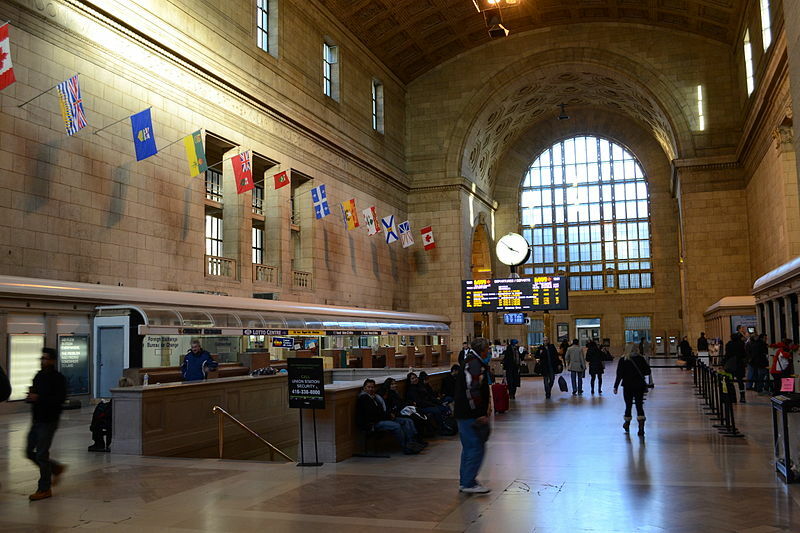 Note re images: the first image above is in the public domain, and was sourced from the Wikipedia entry on Union Station in Toronto, here. 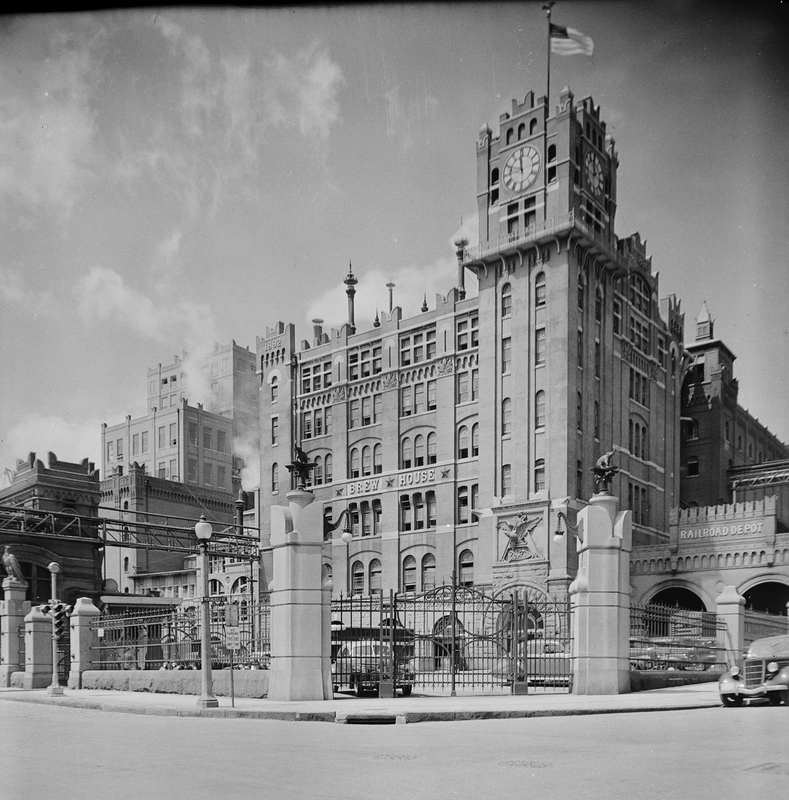 The second image, of the Royal York Hotel in Toronto, was sourced from the hotel’s website, here. Both are believed available for educational or historical use. All trademarks or other intellectual property therein belong to their lawful owners or authorized licensees. All feedback welcomed. The extract of the article below is in relation to something said to be new in America since corn and rice became standard in mash recipes: all-malt beer. 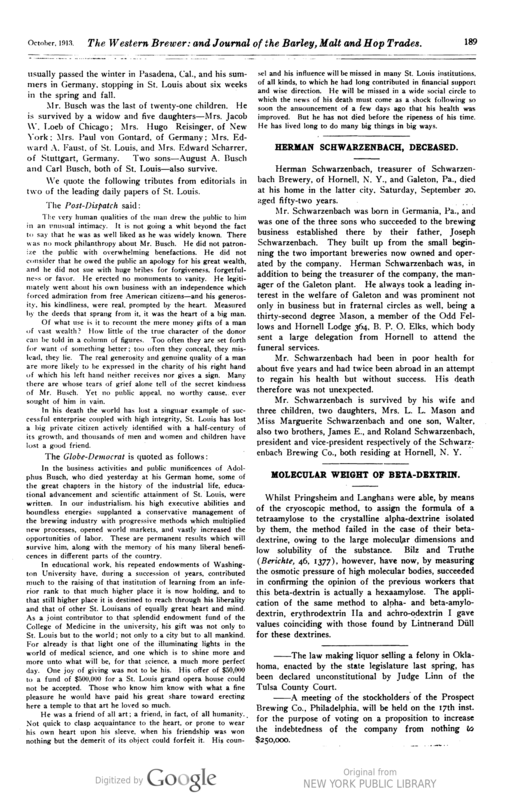 In this January-February, 1918 article, Dr. Theo Sedlmayer explains that war measures had three main effects. iii) limitation of alcohol percentage to 2.75% abw, or 3.48% abv. The author notes the alcohol ceiling is rather close to the norm of many pre-WW I Munich and Pilsen beers, 3% abw or 3.8% abv. Given the starting gravity of these which he said was c. 12 B, their finishing gravity was very high, about 1020 – very sweet. These beers were the sustaining and “nourishing” lagers of 1800s Europa. 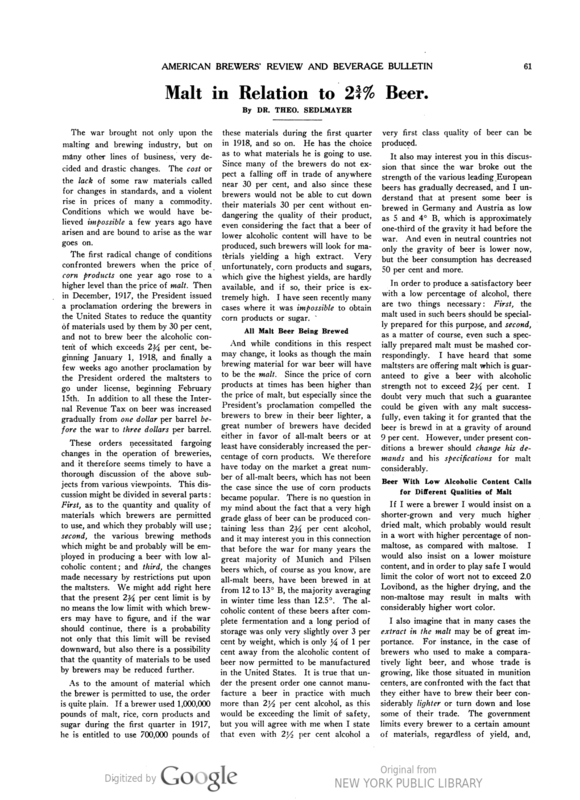 (John P. Arnold and Frank Penman in their 1933 History Of The Brewing Industry And Brewing Science in America state that the 2.75% abw limitation did not apply to “ale and porter”, then a tiny part of the beer market. They added that considerable amounts of the 2.75% beer were produced). And so, a couple of things. It can be easily seen no one confronted with an emulation of European lager in which 30% was corn was going to complain. The unmalted cereal would somewhat lighten in heft and body what was already a very rich beer – but that lightened version was itself still rather sweet, even at the somewhat lower gravities of the late 1800s. The range was 1012-1018 FG as we saw earlier from tables in a U.S. government study. But was adjunct needed for this purpose, to lighten the taste? I apprehend not. First, there was no need to start as high as original gravity of 12 P even though Sedlmayer doesn’t say. Also, as he does say, you could use a high-dried malt which produced just enough maltose to make the alcohol needed: the implication is the excess sweetness which would result from lower-dried malt was avoided. Sedlmayer said a “very high grade glass of beer” could be produced from all-malt under the new restrictions. We are very far here from the ersatz or makeshift. Perhaps Dr. Sedlmayer’s beer was somewhat like the all-malt Amstel Light, see some interesting comments in this online discussion. Is there any evidence the new “war beer” was disdained by the population except for having a lesser jolt? Unlikely. As a result of an unusual intersection of circumstances, a greater quality may have resulted, alcohol level apart of course. Sedlmayer implies this by his reference to a “very high grade glass of beer”. It appears the first Budweiser was all-malt. There should be no surprise at this, but it is salutary to mention it. The c. 1876 label above suggests all-malt as it refers simply to Saaz hops and “Bohemian malt” – no reference to rice, which was added later. 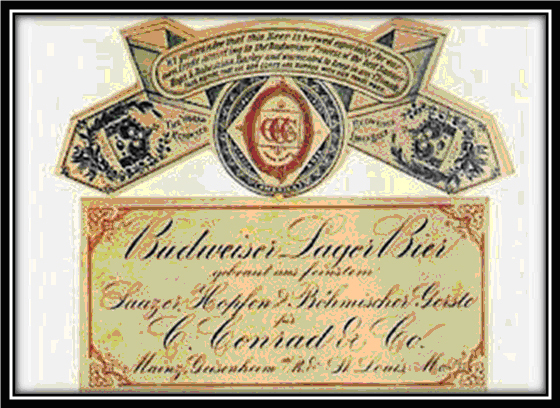 (The main label continued to use at least some German until those references were removed during WW I, see this detailed account from 2006 of the Budweiser label history by Bill Lockhart and others). History returned under altered circumstances in 1918. Sadly, the ratification of the 18th Amendment in 1919, heralding national Prohibition, soon rendered moot all questions of mashbill and related quality. Note re images: the Budweiser label image above was sourced from this labelling site. The second image is from this Wikipedia site, here. The last, below, is via HathiTrust, here. All are believed available for educational and cultural purposes. All trade marks and other intellectual property shown belong solely to their lawful owners and authorized licensees. All feedback welcomed. The account of adjunct use which follows was presented by Robert Wahl at the 1911 Second International Brewers Congress. 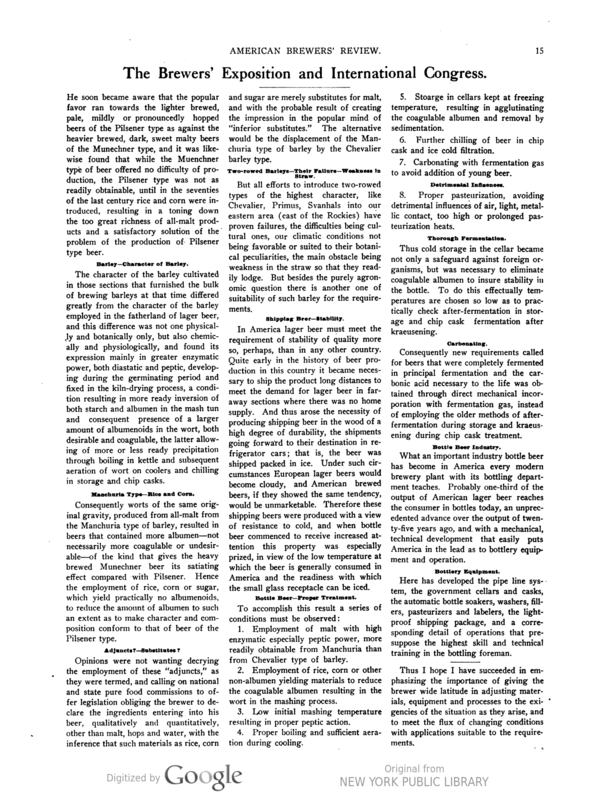 It also appeared in a 1911 issue of the technical journal American Brewers Review, whence the extract below. It is good to read the full page to get a full sense of how the profession viewed the issue before Prohibition. I could give another dozen similar accounts which illuminate small corners of the question but don’t deviate from the essence of Robert Wahl’s remarks below. Wahl states that the main reason to use unmalted cereals in brewing was to ensure a stable product (“must meet the requirement of stability, more so than in any other country”). See especially his comments under “Shipping Beer – Stability”. Adjunct use together with other procedures meant the beer would not cloud, from excessively high protein content, when shipped long-distance or where bottled beer was alternately exposed to cold and warm temperatures. It is evident from his remarks that both professional brewing and the public required under all circumstances a clear drink. (There were minor exceptions, e.g., “weiss” beer, and steam beer in part). As to Wahl’s statement that the public wished a less satiating or sweet beverage (“toning down the too-great richness of all-malt products”), my view is that as adjunct use burgeoned from the 1870s, the result became the norm, just as winter or new lager replaced the taste for summer lager or 7-9 month aged beer. What you get used to, you expect. While high protein levels even today are said to affect mouth feel and “body”, generally 2-row beers are felt to produce richer-tasting worts – they have been said for many years to have a less “grainy” flavour than 6-row. See this American Homebrewers Association comparison of the two types of barley: haze is mentioned as a major disadvantage compared to 2-row barley. There is not even a reference to a heavy body of 6-row that needs to be reduced with unmalted grains. If anything, 2-row barley is again the richer-tasting malt. It must be remembered that Wahl, and his colleagues writing similar statements, were as much talking to their German confreres as an American technical audience. The 1902 American Handy Book of Wahl and Henius was also published in German. Their journal, American Brewers Review, into the years of the first war was published in both English and German. German influence was huge in American brewing then. Assuring German colleagues that America was accepting of adjunct beer was IMO essential to acclimatize them to American brewhouse procedures. Nor does Wahl take on four-square the Bavarian all-malt tradition, he elides it, rather. Further, all-malt beers can be made dry or sweet, as can adjunct beers. We have a product called Molson Stock Ale in Ontario. It is all-malt yet few comparing it to other Canadian mass market ales, say Alexander Keith’s India Pale Ale, or Labatt 50, would say it is much different to these others. The same was true of a now-discontinued lager, Labatt’s Classic. Many modern German lagers are quite dry, Beck’s, say, or even Spaten Helles. In the Handy Book, Wahl and Henius state – so were aware – yeasts can be high-attenuating or low-. In one of their charts of sample fermentations, they include a beer attenuated to 81%. They could brew whatever they wanted from malt or malt and adjunct, basically. Therefore, I read Wahl’s remarks as primarily focused on stability which meant clarity in his day of brewing. To read more into the statement that Americans preferred a less sweet or satiating drink is not warranted IMO. Using adjunct, you could use an attenuation limit to reach the desired sweetness level: adjunct was consistent with the taste the American brewer sought to attain, it is not a sine qua non, in other words. By this I mean, had European-style barley been available in quantity to American brewers in Wahl’s day (as it is now), I believe all-malt beers would have been the norm with that barley and Wahl says as much. In its absence, adjunct provided a solution to provide the limpid Bohemian (pale blonde) beers desired by the public. Does this mean adjunct beer and all-malt beer of the same attenuation taste “the same”? No, but that’s not the point. As I discussed in an earlier post, American adjunct lager was quite sweet, satiating if you will, by modern standards. It wasn’t “dry” because of adjunct, it was dry in relation to all-malt of the same gravity since the malt beer had a higher dextrin content which added to the body and mouthfeel. Brewhouse procedures could be adapted to bring the two forms into close relationship if wanted. At day’s end, I do feel that as close as adjunct brewing and all-malt can be made to be, the latter has the edge in palate. It may be a relatively small one the mass market wouldn’t notice, but it exists IMO. Why did Heineken make the change to all-malt in 1998 after all? That was in the early days – very early – of craft beer. There was no pressure from a beer lobby. They did it surely because it made for a better beer. This is why the German Pure Beer Law was enacted, IMO, and continues to be maintained in Germany, taking all with all. 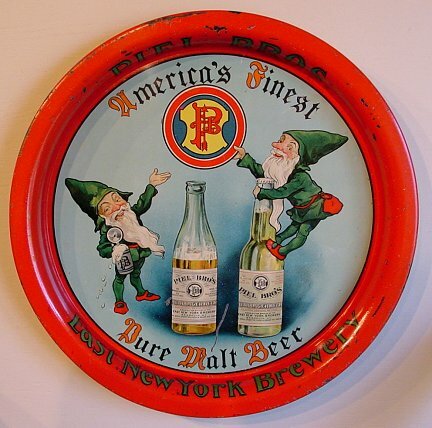 Conversely, American beers internationally before the craft revival were regarded as lesser to the European lager models, not in quality control areas, but in palate. There was a reason and I think it transcends differences in attenuation and hopping over the generations. This has nothing to do with likes and dislikes at an individual level. Tastes of consumers cannot be gainsaid. But based on decades of reading about beer and talking to many experts about it, the American lager norm was not regarded as on a par with the great European lagers in taste and other sensory characteristics before the craft era – I repeat, before. I believe in part that was due to the adjunct tradition (the other part mostly related to hop varieties and hopping rates). The lagers of Canada, indeed of most places making lager outside Germany and the few Pure Beer Law countries, were viewed similarly.